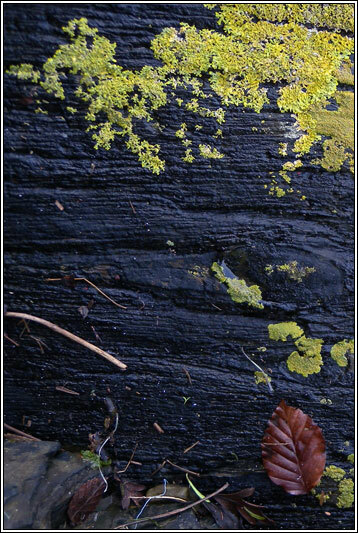 Photos: On coastal rocks and wall. Co. Cork, SW Ireland. 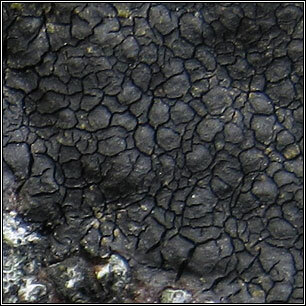 Areolate black thallus (dull-brown in shade) with numerous cracks and a rough, warted surface, often giving the appearance of spilt oil. 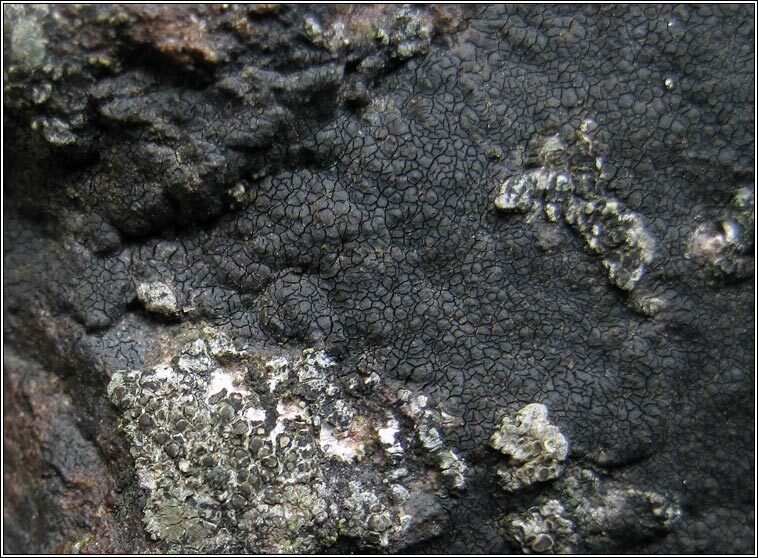 Perithecia are +/- immersed to prominent. 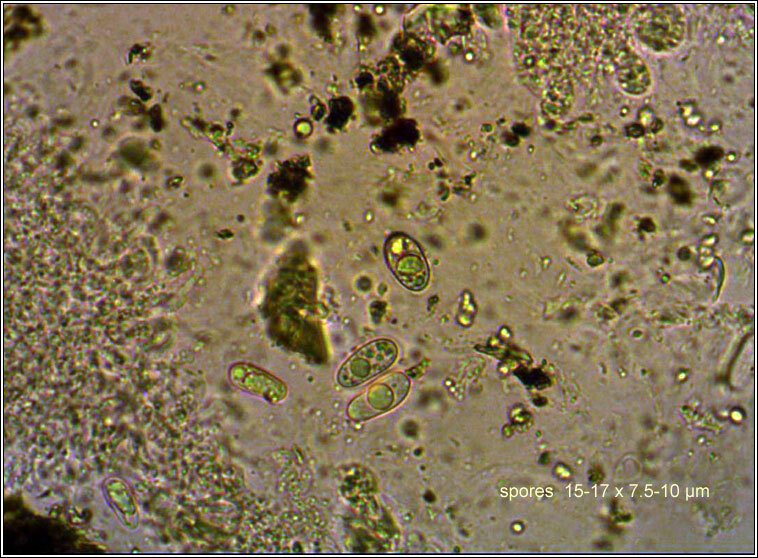 The spores are simple, (14-)15-17.5(-18) x (7.5-)8-9.5(-10.5) µm. Micro photo below. 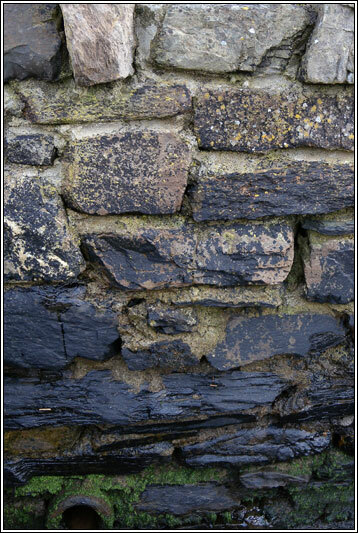 Common on rocky coasts forming the 'black zone'. Extends from below HWM to some distance above and develops best on exposed shores.